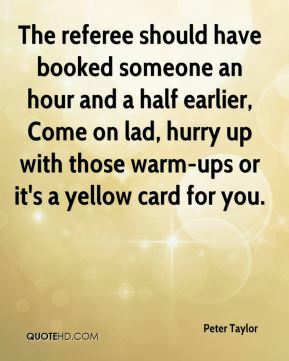 The referee should have booked someone an hour and a half earlier, Come on lad, hurry up with those warm-ups or it's a yellow card for you. 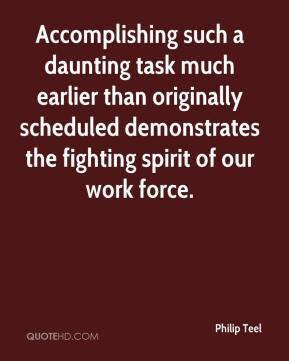 Accomplishing such a daunting task much earlier than originally scheduled demonstrates the fighting spirit of our work force. 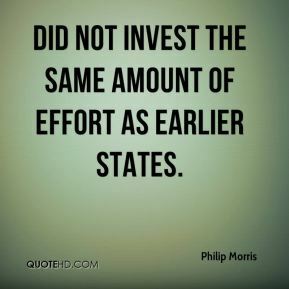 did not invest the same amount of effort as earlier states. 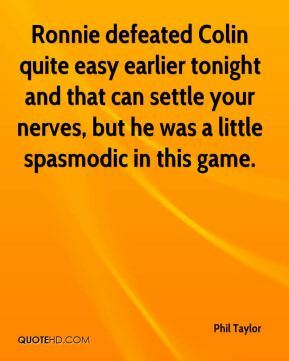 Ronnie defeated Colin quite easy earlier tonight and that can settle your nerves, but he was a little spasmodic in this game. 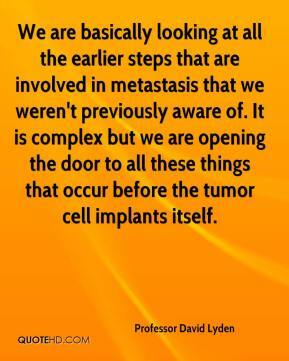 We are basically looking at all the earlier steps that are involved in metastasis that we weren't previously aware of. It is complex but we are opening the door to all these things that occur before the tumor cell implants itself. 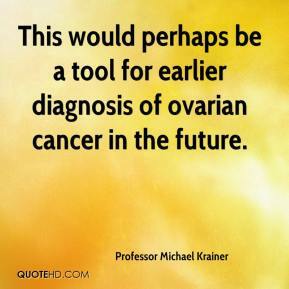 This would perhaps be a tool for earlier diagnosis of ovarian cancer in the future. 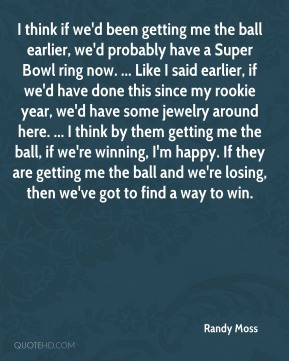 I think if we'd been getting me the ball earlier, we'd probably have a Super Bowl ring now. ... Like I said earlier, if we'd have done this since my rookie year, we'd have some jewelry around here. ... I think by them getting me the ball, if we're winning, I'm happy. If they are getting me the ball and we're losing, then we've got to find a way to win. I was already nervous down by three. 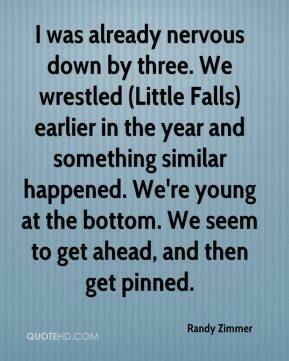 We wrestled (Little Falls) earlier in the year and something similar happened. We're young at the bottom. We seem to get ahead, and then get pinned. 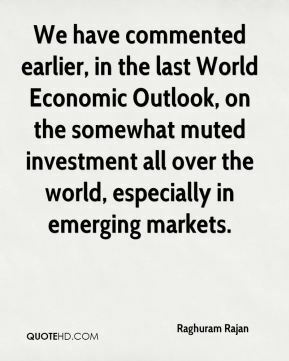 We have commented earlier, in the last World Economic Outlook, on the somewhat muted investment all over the world, especially in emerging markets. 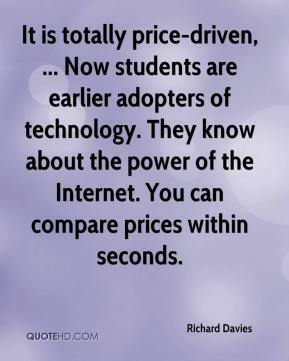 It is totally price-driven, ... Now students are earlier adopters of technology. They know about the power of the Internet. You can compare prices within seconds. 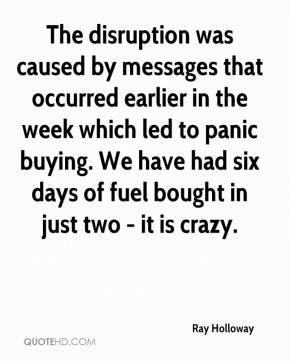 The disruption was caused by messages that occurred earlier in the week which led to panic buying. We have had six days of fuel bought in just two - it is crazy. 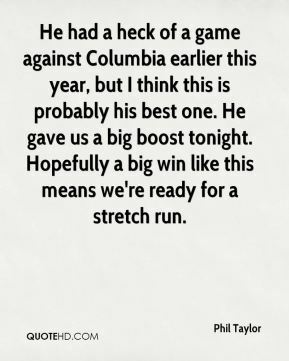 We're favored and I think we'll do well as long as we finish. 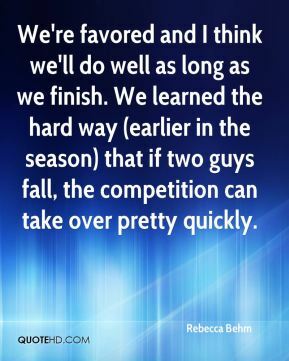 We learned the hard way (earlier in the season) that if two guys fall, the competition can take over pretty quickly. 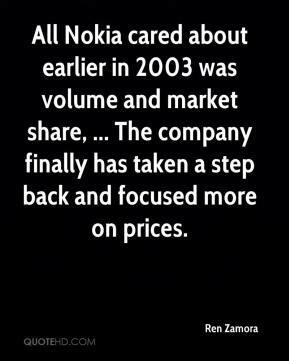 All Nokia cared about earlier in 2003 was volume and market share, ... The company finally has taken a step back and focused more on prices. There were reports that the landslide occurred much earlier than the earthquake. 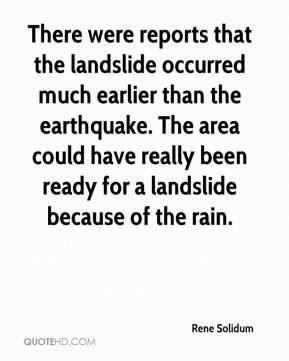 The area could have really been ready for a landslide because of the rain. Relative to where the stocks were earlier this year and the expectations people had for growth, some correction was necessary. 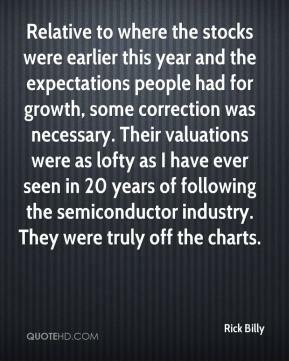 Their valuations were as lofty as I have ever seen in 20 years of following the semiconductor industry. They were truly off the charts. My heart was in my throat 10 seconds earlier when I'd thrown the ball away. That was scary but I got a little lucky because it came right back to me. I knew that no three guys were going to be able to catch that guy in an open floor, so I thought it might be a good idea to get the ball to Mark and see what he could do with it. 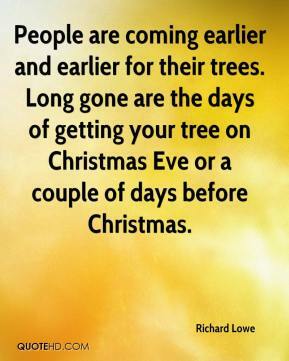 Earlier in the year we really lived and died with the 3. We've been seeing a lot of zone defenses lately and we couldn't totally rely on the 3 anymore, so we've been taking it inside quite a bit lately with a good amount of success. 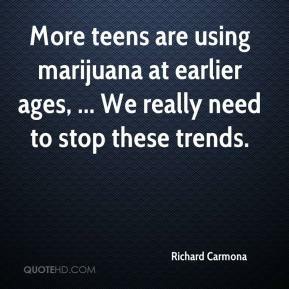 I think that has definitely helped us a lot. We are encouraged by this and have raised estimates, essentially back to earlier levels. 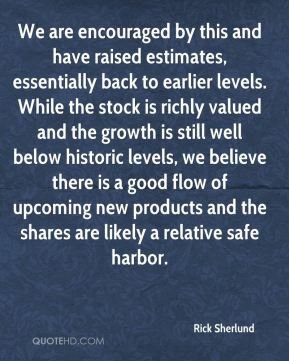 While the stock is richly valued and the growth is still well below historic levels, we believe there is a good flow of upcoming new products and the shares are likely a relative safe harbor. 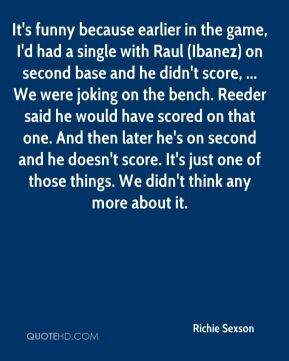 It's funny because earlier in the game, I'd had a single with Raul (Ibanez) on second base and he didn't score, ... We were joking on the bench. Reeder said he would have scored on that one. And then later he's on second and he doesn't score. It's just one of those things. We didn't think any more about it. People have a hard time fulfilling all of these needs. 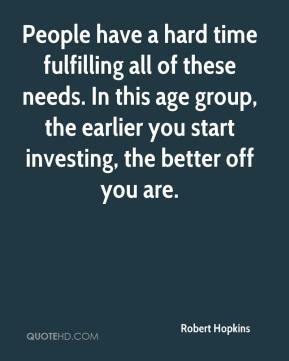 In this age group, the earlier you start investing, the better off you are. 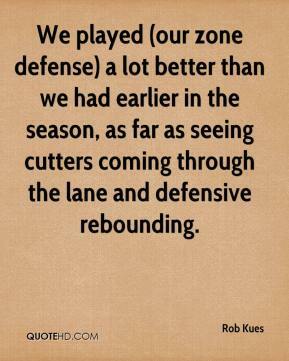 We played (our zone defense) a lot better than we had earlier in the season, as far as seeing cutters coming through the lane and defensive rebounding.